This week marks our final installment in the Data for Decision Making series! 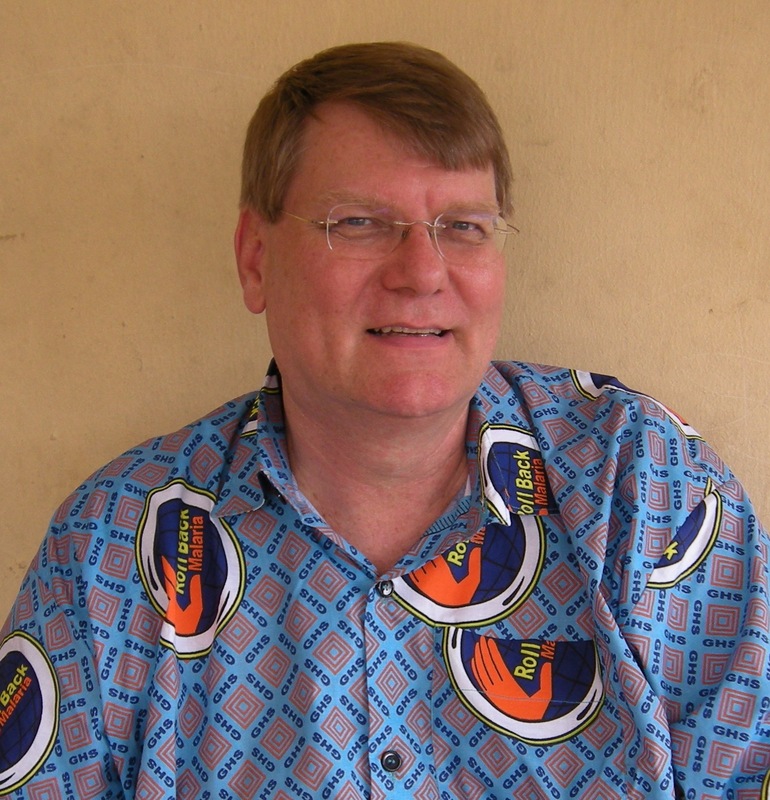 For our final interview we talked with Dr. William (Bill) Brieger, Senior Malaria Specialist at Jhpiego and a Professor in the Health Systems Program of the International Health Department at John Hopkins Bloomberg School of Public Health. For over two decades Dr. Brieger taught at the African Regional Health Education Center at the University of Ibadan, Nigeria. He also previously served as a public health and health education consultant to various international organizations including the World Bank, the African Program for Onchocerciasis Control, UNICEF, the World Health Organization, US Peace Corps, and various USAID implementing partners. Dr. Brieger is internationally known for his expertise in social and behavioral aspects of disease control and prevention. What are the most pressing challenges in the development of scaled-up CHW programs today? I think part of the challenge is that it is difficult to obtain a clear commitment and approach regarding the implementation of CHW programs. A good contrast is seen in the difference between integrated community case management (iCCM) and community directed intervention (CDI). With iCCM, organizations focus on getting treatments to people, whereas with CDI, organizations are interested in building up capacity within communities to support distribution of key health services. Philosophically, iCCM and CDI programs are two different approaches, with CDI aiming to help communities make a conscious decision about participating in the process and making a commitment to support any volunteers within the community. The other challenge is that NGOs provide different programs and interventions, which is difficult for countries – mainly Ministries of Health – to manage. I think Rwanda has been the most successful with harmonization and represents a good example of overcoming NGO program fragmentation. Rwanda has systematized the implementation of NGO programs, by requiring NGOs to go through the Ministry of Health to ensure that their programs adhere to the national standards. Burkina Faso has also tried to tackle this problem, and the Ministry of Health has created a “Community Health Promotion Directorate” to assist in harmonizing service provision amongst NGOs. There are certain structural approaches to management that can help scale-up programs while maintaining community commitment; but CHW scale-up will not work unless the community is strongly involved in the selection of health volunteers and is holding those volunteers accountable to community norms and expectations. Data on CHWs and data from CHWs are equally important. Organizations need to know who is providing services in the community so they can plan for training and continuing education. Having a good record of community volunteers and keeping that record updated is important, especially at the health center level. Data collection starts with the health center keeping data on the villages where they operate – the geographical coverage, counts on the volunteers within that village, demographic information about the volunteers, and where they work. Monthly records should be submitted by CHWs to ensure proper service delivery and patient tracking. If all of this is being done, then the data needed for making programmatic decisions can be sent forward to the district, state, or regional province. In your opinion, what are the largest gaps in data on frontline health workers, particularly CHWs, right now? One of the largest gaps in CHW data is data showing whether CHW deployment mirrors community needs. For example, based on experiences in Rwanda and Nigeria, we know it is very important to have older female CHWs provide maternal health services, particularly woman who have been pregnant before. It is critical for an older woman to provide these services because she will be able to gain the trust of her community, which will allow pregnant women in the community to see the volunteer to discuss their pregnancy and receive treatment without any stigma. Situations like this demonstrate how important it is to keep track of the demographics of CHWs, along with the service needs of communities, especially services involving confidentiality like home-based care for HIV. With this information in hand, it can be quickly determined if an organization has CHWs with the appropriate characteristics to serve a community. How can we begin to close these gaps? Currently, most health centers do not keep a good record of community volunteers. This is where we can start to close the gaps in CHW data. If organizations and governments start streamlining data at the health center level, this data can then be reported to other levels of the health system. It is important to at least have an annual or semiannual assessment to determine changes, such as exits and promotions, within the CHW population. I have always envisioned it as a partnership between the health center and the community, so that the health center really knows the catchment area. For example, in most of the health centers and small clinics in Nigeria, the staff draws a hand-drawn map of their catchment area so that they know where their clients will come from. While imperfect, this allows the health center staff to have a good understanding of the community demographics. However, before this can happen it is critical that we start to actually keep track of community volunteers and health workers. I feel that many of the NGO activities in Nigeria are not as effective as they should be because they give a “touch and go” service. They leave no abiding and accountable system. It seems all they want to see are papers and lists of names to be able to renew donations from their donors. Many of the local volunteers end up doctoring the data to suit the organizations. Hence, the inefficiency of some of the programs. Take for instance, the local officers of the NGOs in the area where my facility is located will not show up until there is news of visit of senior officials and yet they turn out spurious data. There is need for stronger attention and monitoring. Thank you for raising such an important issue. It is unfortunate that some programs ran by NGOs do not have proper systems in place to monitor accountability. The Campaign is conscious of this issue and have included monitoring and evaluating components within the national CHW scale-up plans. As for data collection, the Campaign is also working with governments on properly collecting the data and ensuring there is a vetting process to ensure accurate numbers are being reported. The Operations Room, The Campaign’s online CHW tracking platform, has been designed to help collect the data and ensure accountability of CHWs across sub-Saharan Africa. The Campaign agrees that there needs to be appropriate systems in place to ensure effective and efficient programs are in place.